I wanted to share my haul from Artie Style! Artie has offered my readers a 10% off code with orders more than $20! I wanted some cotton that I can soak my skin product to make a face pack, its cheap, super soft and comes with 110 sheets! 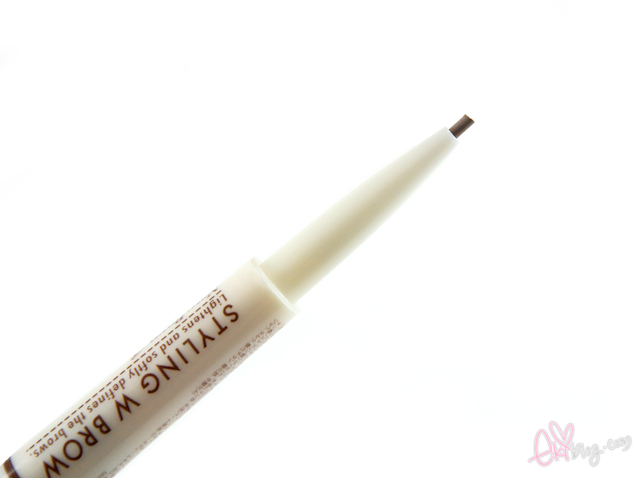 Sana New Born Eyebrow Mascara and Pencil (Natural Brown) is a two side eyebrow pen with an powdery pencil on one side and eyebrow mascara at the other side. 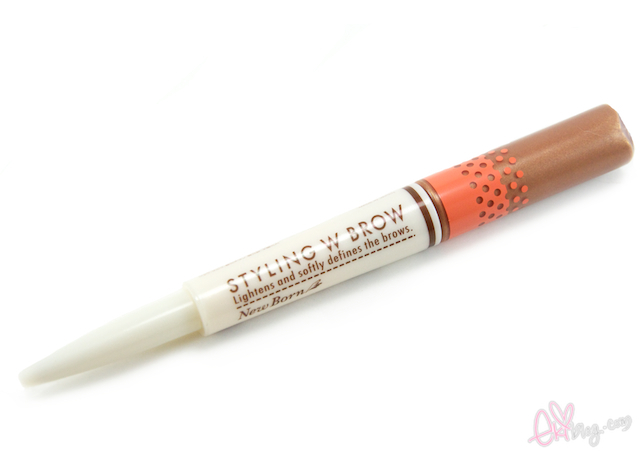 The pencil side is used to fill in brows with thin, hair-like strokes. The mascara brush side is to blend in the pencil and brows.In addition, the pearl and soft fibers help to create a soft nuance brows. I am almost out with my makeup cleansing oil and I was looking for a oil free gel type makeup remover so I decided to try this one out! I really like the hadanomy series so wanted to give this one a try! 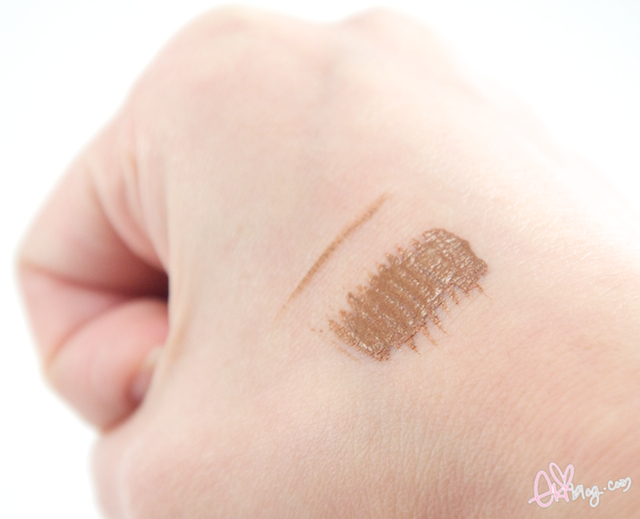 Its one of their newest product in this series~ Tested on my hands to see how it worked and so far it washed off the eyebrow pencil and mascara clean! Sana Hadanomy Collagen Makeup Cleansing contains 1000mg of micro Collagen to moisturize your skin. 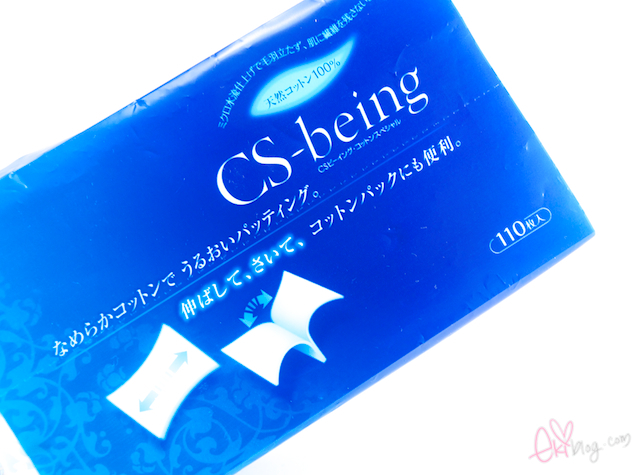 In addition, it contains Hyaluronic Acid Na, Honey and Acerola extract. The ingredients absorb into the skin instantly to make your skin soft and supple. Sana Hadanomy Collagen Makeup Cleansing is color free, mineral oil free and non greasy. It contains natural aroma scent. 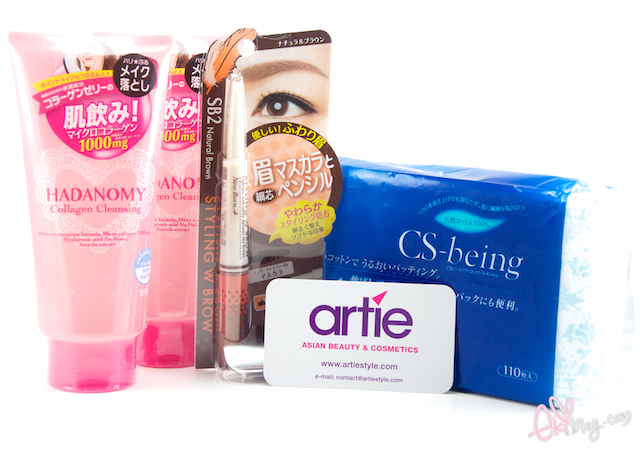 Thank you Artie for sponsoring this item to be given away! One Lucky winner will win your own Hadanomy collagen makeup cleanser to try!! Disclaimer: Items was sent to me as a review purpose, I am not paid by Artie style just here to share my opinions about the items. the haul seem very nice! Thanks for the giveaway, eki! Looking forward of your next post (:! Wow your haul looks great. Hope the cleanser works well for the whole face as well! i love your hauls!! ^O^ and thank u for the giveaway eki-chan!! i hope artie ships to canada too! The cleanser looks really nice! Thanks for the giveaway!! I was wanting a Japanese cleanser since my Korean one is running out! Oh! Loads of products that I haven't heard of before! Thank you so much for this giveaway, I've been following you for quite a white and I love your posts!! do u like this brand? 2) Liked the FB page. what lovely products! and your photos are always so lovely! Hi ! :) I'm entering the giveaway! Your reader: YES YES YES! i'll keep the collagen cleanser in mind to buy...when mum let's me get more makeup. i got a facial almost a week ago, i guess geared toward acne prone skin, and my face dried out a lot O_O. My eye makeup is always left over...and i happen to use some hadanomy already. my brows are probably to thick for mascara (other than black) to work on them, so i bleach mine a bit (i'm not allowed to tweeze, wax, or thread). seriously, my brows are beast, like a man's... which would explain my sideburns >_>. i might surf the artie store sometime soon just to see what else they have; i'm addicted to shopping. 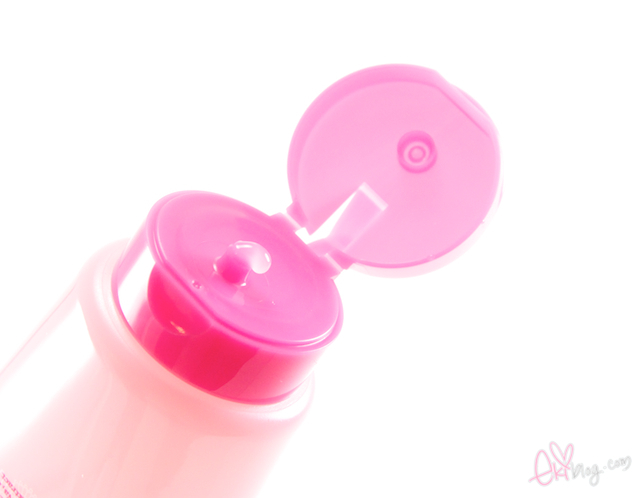 Hehe I love the colour of the packaging of the cleanser. I'm so happy Artie Style is offering this code! I was just browsing their site last night, this is great! Thank you thank you!! 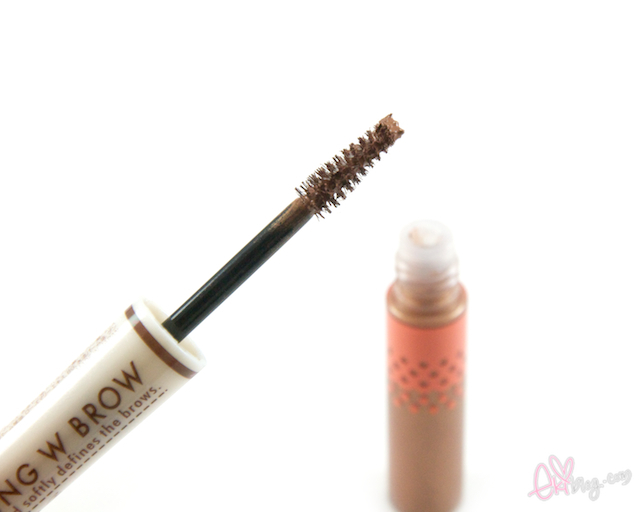 <3 I'm also browsing around for some brow products... there's so many on their site (okay, not a LOT, but enough to make me confused which to try out!) 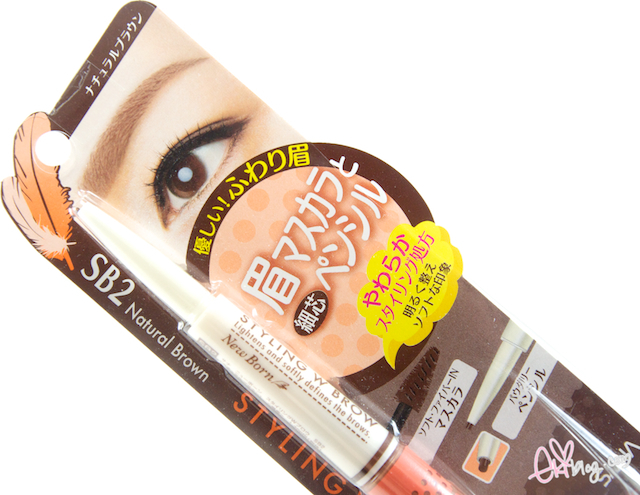 ^^; But it's okay, I love browsing makeup sites, who doesn't?? ooooooo i would love to try this. email is chandraung562[at]hotmail[dot]com. twitter name is @channiechan562. thank you! Liked and shared on twitter! Ooo this looks like it works great :)! Yay for the giveaway! Thank you! Hi Eki! Thanks for hosting! Thank you for this giveaways ! 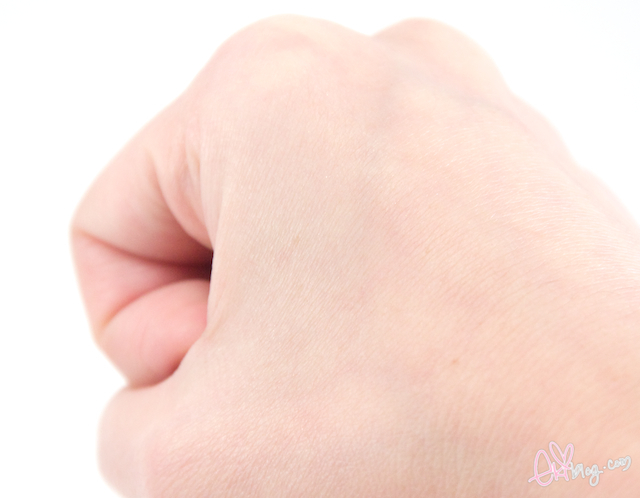 wow the Hadanomy collagen makeup cleanser looks awesome! I've been planning to buy something like it as I'm running out on my own and this one seems great for my oily skin. Thank you for this awesome giveaway! I love your product reviews and your blog <3 always so informative !!! Hi Eki Its my first time commenting on one of your blog posts, but I love reading them *especially when you drew Tsubasa Masuwaka from just your ipad! * I'm pretty sure I"m one of your million fans so please keep blogging! Thanks!